Our Lady of the Lakes mission was established on March 26, 1989. For the founding 850 families of the mission, it had been a five-mile cross-town trek to the mother church, St. Francis Xavier. 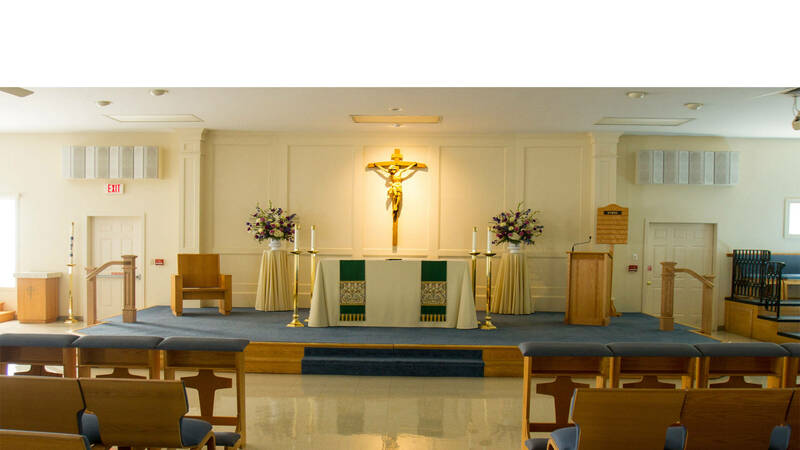 On July 23, the new pastor offered the first liturgy for the congregation, a Vigil Mass at Hill and Plain School directly across the street from the rectory, an old farmhouse dating from the 19th century. The chancery had earlier purchased the rectory and five surrounding acres located on Old Town Park Road. On December 8, 1990, Our Lady of the Lakes was made a parish with Father Thomas Ptaszynski appointed first pastor. 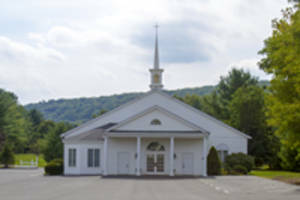 In 1992, a church was built on Old Town Park Road. Mission Statement: We the people of Our Lady of the Lakes are called to live and proclaim the Gospel of Jesus Christ through Eucharistic celebration and adoration. We strive to build a community of faith by the recognition of the God-given dignity of the human person and the sacred value of human life from its very beginning until its end, and to be disciples committed to carrying out the mission of Jesus in our own time and place. We collaborate freely through the use of time, talent and treasure to be a parish of true stewardship and human development. If you would like to become a member of Our Lady of the Lakes, please call the office at (860) 354-5239 or email Kim at olol@sbcglobal.net to obtain a registration form.